April | 2008 | Why Run? 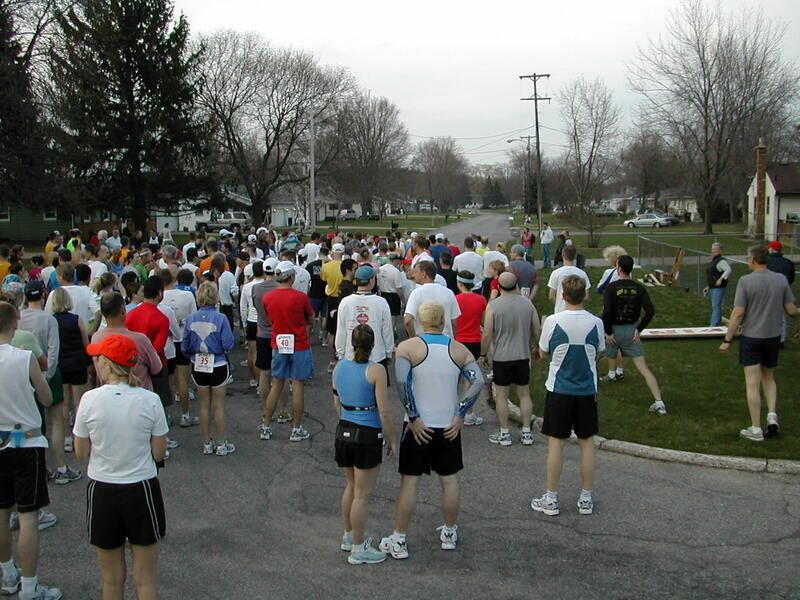 Start of the Striders Classic. I don’t know what’s up with guys putting hands on their butts! It was a year in the waiting but I finally got to run the Striders Classic 10 mile road race. Last year I was signed up to run but wisely decided to withdraw due to a minor achilles injury. Ironically I’m currently recovering from a different injury, to my right hamstring, but it’s healed enough that I could handle a 10 mile training run. The plan was to simply have fun and take it easy. Wednesday before the race I tested the hamstring on the treadmill and was happy to see that a 9:00 pace didn’t bother it. In fact, I even pushed it up to 8:00 for a while and then even 7:00 for half a mile, and the hammy was OK. After the 4 miles on the treadmill my hamstring was clearly fatigued, but not sore. So far so good. 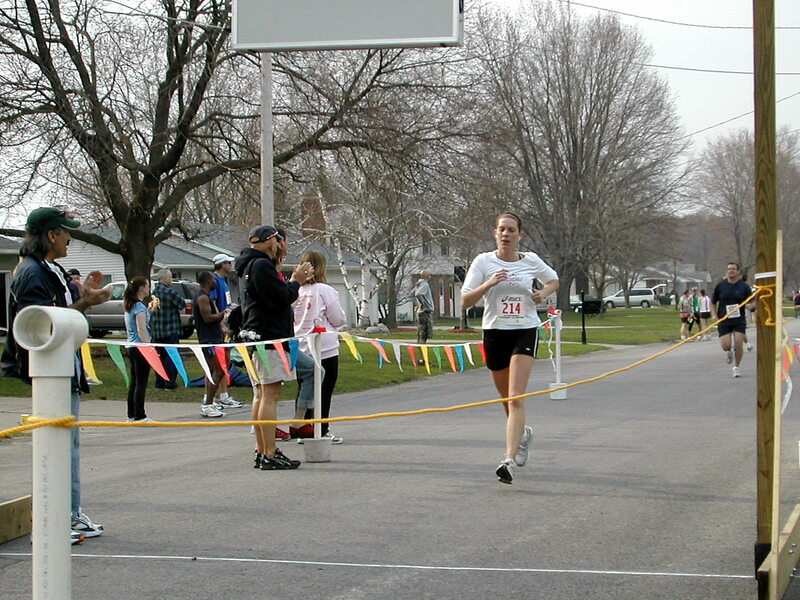 Striders has a great reputation for well-organized, no-frills races that attract some quality runners and the 2008 Classic was no exception. Just $20 gets you signed up and when I arrived Saturday morning for registration all I received was a bib number and a polo shirt. Simply perfect! No plastic bag full of useless SWAG like sample packets of body lube, cheap water bottle designs from the 1980’s, hair scrunchies, toothbrushes, yucky-smelling lip balm, and countless tri-folds advertising races I have no intention of running… You get the idea. Yes, those are all examples of actual SWAG rotting (slowly) in the nearest landfill. “30 seconds! !” yelled Steve. What?! It was 7:57 – I guess Striders doesn’t wait around. Hurriedly I fumbled to get my bib pinned back on and finally clipped the last safety pin (after bending it twice in my haste) when the race started. Unfortunately my bib was even more katty-wompus than before, but oh well – time to run! Mile 1 of the Striders Classic. And I was thirsty already. That morning I forgot my water bottle that I usually drink from during the drive to the race. Just two miles into the race and I’ve already made four mistakes! Trained too hard on the treadmill, rushed at the start line, early pace too fast, and now already dehydrating! Running past a farm where the cows wanted to race! I consciously slowed down and when I reached the aid station I walked while drinking the water – to this day I still can’t drink from a cup while running without choking. Cruising along I often stopped to take more photos of the countryside but sadly many of them came out blurry. One of the blurred ones was this cute calf that was trying to race us, running through his paddock while being chased by his mom cow! Don’t know what got into the little guy but it sure was funny. 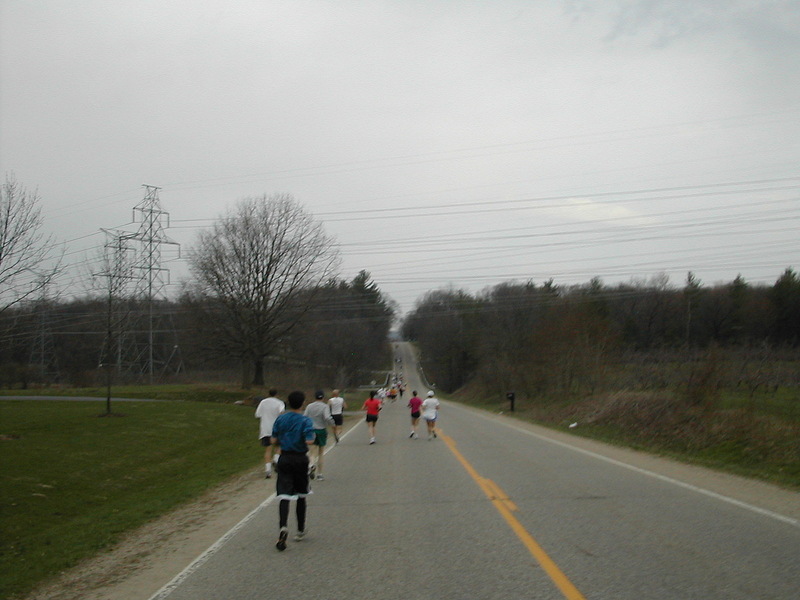 The “big” hill of the 10-mile course. The course is advertised as being hilly but really it’s not that bad – just a rolling country road with one sorta large double-peaked hill. Finally I hit the turn-around of this out-and-back course in 46 minutes, just over a 9:00 pace. Definitely too fast as I hadn’t had a training run above that pace since injuring my hamstring in October. Mistake #5 – not realizing that when I meant to slow down, that I hadn’t slowed down. Despite finally easing off the pace at mile five, it all caught up to me at six miles. I felt like crap – not bonky, but just tired. At the aid station I grabbed two large cups of water and walked for the next five minutes while drinking them. After putzing along for a while I decided to get back up to speed (if you can call a 10:00 pace “speed”) and definitely felt better. Lori finishes her first 10 miler! Congrats! I managed to hold a 9:00 for the last two miles to finish in an official time of 1:35:37 – not bad considering all of my mistakes. Did I mention that Striders likes to keep it simple? There was no chip timing, instead just a volunteer ripping the tag off of my bib to record my placing in old-school fashion. Pretty cool, although it cost me 13 seconds due to starting at the back of the field. I guess that’s what you can call a “bib pinning penalty”! 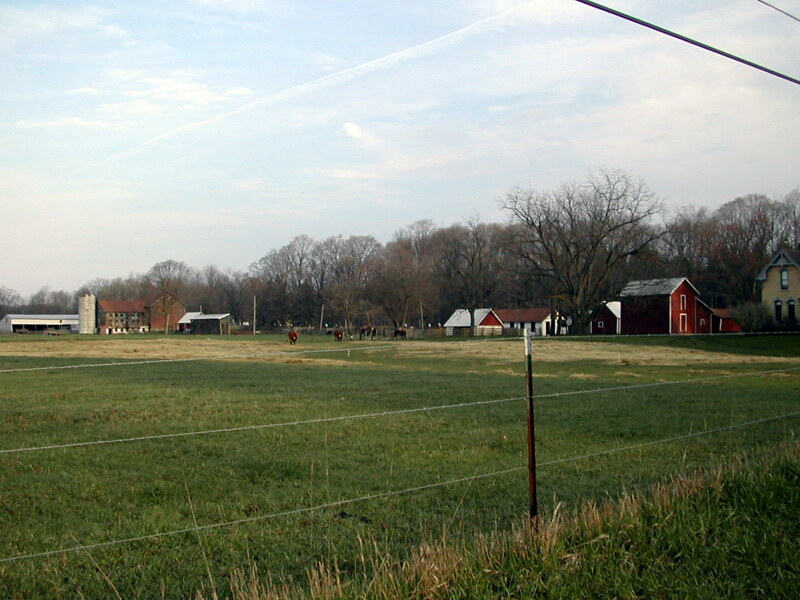 That field was full of fast runners. The winner came home in under 55 minutes with 25 runners – almost 10% of the field – finishing in better than 1:05. The winners all got some cool prizes – no medals, but sweatshirts, gift certificates to Striders, and coffee mugs. Then another few dozen sweatshirts and gift certificate were raffled off in a random drawing of bib numbers. Someday, I swear, I will win a door prize at a race! After the race I spent some time chatting with some of my co-workers who took part in the event: photogenic Dave Horne, Perry Cheathem, and Mike Mast. Our company is big enough that I don’t actually work with these guys, but thanks to running and/or softball I’ve had the chance to get to know them. I think I’ve met as many co-workers through those two sports as I have through the various programs I’ve worked on! Telling my dad about the day he started laughing at all of my misfortunes and even teased me by asking if I’d ever run before. Truth is, though, I’ll never run a race where I don’t learn something. This is one of my favorite aspects about running – there’s always something more to learn, something new to discover, every time I put my feet in motion. At the Striders Classic this year, I learned a lot! One year ago yesterday marks the anniversary of this blog! 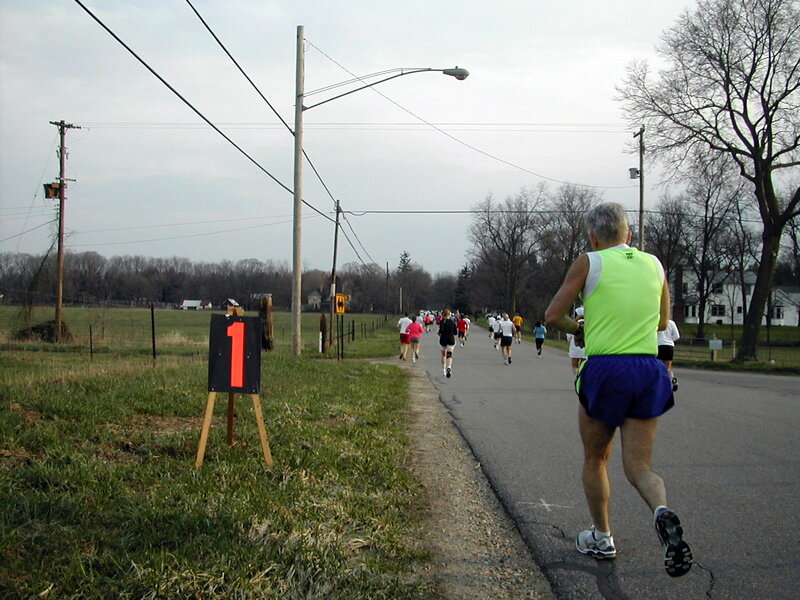 On April 1, 2007 I wrote the inaugural article about heartbeats and life expectancy, which currently holds the title of the most popular post on Why Run. Luckily it hasn’t been all downhill from there – just two days ago the blog saw its highest ever daily hit count! When I started this thing I was simply looking for a creative outlet. There always a long list of ideas running through my head of topics that I’d love to explore; most of them never leave the confines of my mind. However, the teaching gene in me (my extended family boasts over a dozen teachers!) also loves to explain what I’ve learned to others. Upon starting this blog I figured it’d be cool if a thousand people spent a few of their precious minutes between runs to read something here. Since then this blog has seen almost 9,000 folks visit these pages! That’s probably more a testament to the value and power of worldwide blogging than my ability to communicate via keyboard, but it’s encouraging that readership has been growing during the past year. Why Run has averaged exactly one article per week (not counting this one), meeting my goal but not my hopes of more frequent content. Sometimes life just gets in the way; other times it’s just the mood. One thing I learned about my injury is that when I’m not running, it’s hard to get motivated to write about running! What’s on tap for the next 365? There are some significant changes in the works for Why Run, so stay tuned! You are currently browsing the Why Run? blog archives for April, 2008.